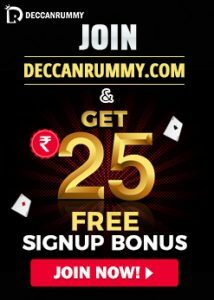 How technologies could impact Online Rummy card game in India? Rummy is one of the interesting card game enjoyed by most of the adults in India. Since this game had some legal issues in the past in India, it was mostly played in secrecy among adults. Now the Supreme Court has legally termed Rummy as a game of skills instead of gambling. After the rummy game moved online, people from all walks of life started playing the game. Because of the technological explosion, online rummy game is now available to even play in your mobiles. 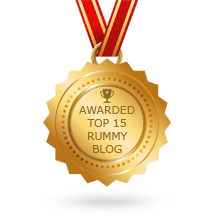 So, what does the future hold for online rummy? Immersive Gaming (Virtual Reality) is a perception of being physically present in a non-physical world. The perception is created by surrounding the user of the VR system with images and sound. This technology was used in the James Cameron’s blockbuster movie Avatar. As you can see from the movie Jake Sully (Sam Worthington) enters the Virtual world of the Pandora’s biosphere using the Avatar program of the military created using Virtual Reality concept. Online Rummy will be no stranger to this technology. We can expect to see VR used to create casino like gaming atmosphere in the near future – the players can play the game as if they are played from a casino. With the booming market for handheld devices like smart-phones and tablets, the console war between the three major brands (Sony, Microsoft, and Nintendo) has intensified. Wii U Gamepad is one of the latest gaming consoles created by Nintendo which can actually be used as a secondary screen that lets you screen your enemies inside buildings, access the map or use your inventory seamlessly without leaving the game field. These Secondary screens have already been incorporated into popular games like Batman Arkham City Armoured Edition WiiU, Marvel- the Avengers Battle for Earth WiiU. Similarly, 13 card Rummy game has also got a chance to be part of this console in the future. With this technology, you can use the secondary screen to take a closer look at the table and also drag and drop the cards on the table like a real player sitting at the table. Open source gaming is a concept of free gaming development kit for any game lovers instead of Gamers or gaming companies buying independent Software kits for developing and launching their game. For instance, Ouya is an Android-powered, upcoming video game console designed to bring the game directly into your television sets. Similarly, Rummy can also be brought into our television sets in 1080P HD with this technological advancement. Augmented Reality is a technology for games that lets the player to interact with the surroundings in real-time. Eg: Droid Shooting, a simple shooter game which lets the player to interact with the game surroundings. Holding your smartphone up, you will need to shoot targets appearing from everywhere around you. What does Rummy get to do with AR in the future? Let’s say you and your friends start a rummy game sitting in a coffee shop facing each other. When you start playing the game you will naturally feel like you are playing inside a casino as augmented reality brings in the realistic table into the virtual world. With Cloud Gaming, we need not wait forever to get upgrades to high-quality games. You can access all the latest games almost instantly. The cloud technology helps us to play games at ease and cheaper. SimCity –Build it, is one such game designed by EA sports for android and IOS devices. The game utilizes cloud gaming technology and it can be played both in offline and Online Mode. The advantage of this game is when you are playing in Offline mode all your data will be merged with the server when you turn on your internet. If Cloud gaming is implemented in Online rummy, it is destined to be a success. 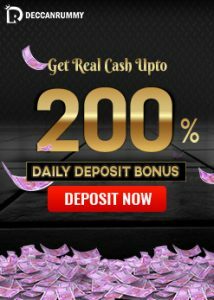 As of now, it is not possible as most of the rummy sites do not have bots. Players play the game with live players. In future, we could envision a powerful bot that could challenge the players just like they have it for chess. We can count on many exciting rummy variants and free tournaments with the bot. In such scenarios, cloud gaming could be handy as your offline play against the bot would be saved and you can resume your session once you get your internet up.